Cambridge plantation shutters from your local experts! The historic university city and county town of Cambridge is a picture perfect English location. With architecture that would not look out of place on the front of a chocolate box, these stunning buildings (both old and new) deserve the sympathetic and understanding designer touch of a company like Just Shutters. We have an uncompromising eye for detail and perfection and a second-to-none reputation in people’s homes. Couple this with our passion for design, and we offer shutters that you can be sure will be the very best for your home. Please call us for a free home visit or to find out more about what we can do for your home: 01223 632887. Shutters offer the best of both worlds – it is not often that a purchase lead by the heart can also be called practical, but plantation shutters effortlessly combine beauty with practicality. Shutters are easy to maintain, help your home to remain private and secure, and offer superb value by giving you a product that is lifetime guaranteed! While curtains and blinds will weather and wear, shutters will be with you for as long as your other fixtures. 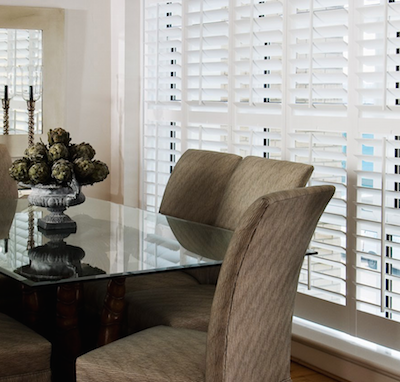 Just Shutters offers the largest, most extensive range of shutters in the UK. We do exactly what we say on the tin: we specialise in shutters. They are not a part of what we do – they are what we do, meaning that if you can imagine the shape, design, colour and style you want, we can help you achieve it like nobody else. We will listen and we will advise, giving you expert care while ensuring your style and preference is understood. Feel free to browse our extensive galleries to see some of the 7000+ installations we have done, and be inspired by what we could do for you. Please contact your local Shutter Expert on 01223 632887 who will be able to give you the personalised service you need, from design to installation and beyond. You can call direct, or book an appointment by using the ‘Book your appointment’ button on the top right of the page, or contact us directly here. You can download a brochure too, for more hints, tips and striking pictures that will show you Just why Shutters are perfect for your home. To see more of our Cambridgeshire plantation shutters please follow this link.